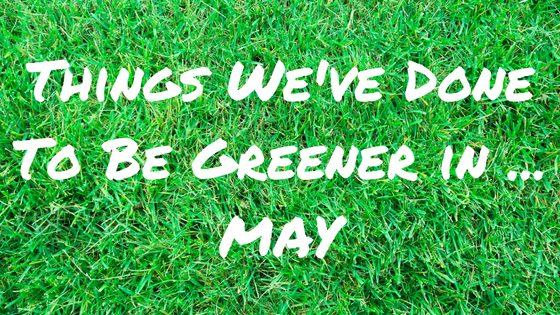 Last month I started a new feature on the blog, talking about the new things (big and little) I did in the previous month to be more environmentally friendly. A few days late, here's my May update! 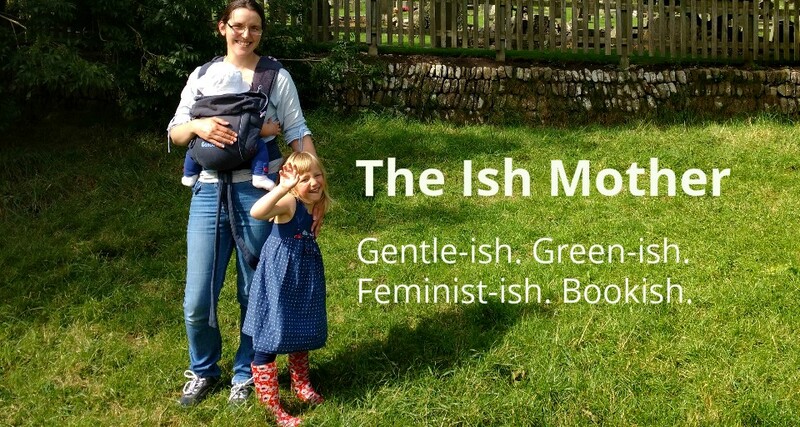 You may have noticed a slight change in wording - I realised after publishing the last post that actually most of the green things we do are a family effort and so to recognise that I changed 'I've' to 'We've'. It's no secret that I love cloth nappies, but we always have disposables in for night time and emergencies. Except recently I'd been getting a bit lazy about what constitutes an emergency. Basically any outing of more than an hour was starting to warrant a disposable in my eyes. Our bin was filling up fast and our supplies dwindling. And it wasn't great for Toddler either - we went away for the May Day weekend and used disposables all weekend, which caused dreadful nappy rash. To the point where we actually decided to give cloth another go overnight to give him chance to heal. And now he's older, it works! This, and being a bit stricter with myself about using cloth when going out, means we've massively reduced our disposable usage. I'm also working on reducing the number of baby wipes we use. We've never used them loads because they're another thing Toddler is sensitive to, but I've found that reminding myself to use washable wipes, cotton wool or just tissue has made our 'emergency' packs last longer. 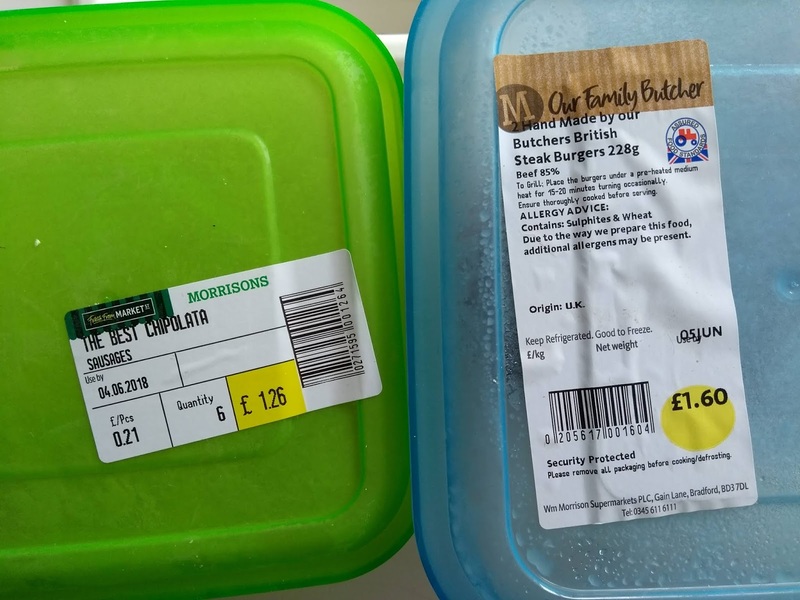 This one has been massively helped by our local branch of Morrison's who have started using compostable paper bags for fruit and veg, and allowing customers to bring in tupperwares for fresh meat. It's a small step at the moment - I do still feel like we're drowning in plastic packaging - but it's a start toward reducing the amount that ends up in our bin. I mentioned last month that we now have an electric car. We kept our old one mainly for longer journeys, as the battery life of the Leaf only covers around 90 miles. But when we went to the coast for the May Day weekend we used it as an opportunity to try out a longer journey in an EV. Admittedly I was skeptical but it did work out fairly well. It meant we had to break up our trips with a stop at a rapid charger (we coincided these with lunch) and my husband had to go on a quick trip to the next town to use the charger in Lidl, but we managed it! I'm still not sure about very long journeys though, the stopping to charge did make our travel time much longer. But it's good to know we can use it for medium-length journeys. So that's some of what we've been up to - how about you? Have you made any changes recently to be greener? Let me know and I might nick your ideas for this month! !